The same cool style as our boys and girls Rainsters but with a tech twist. 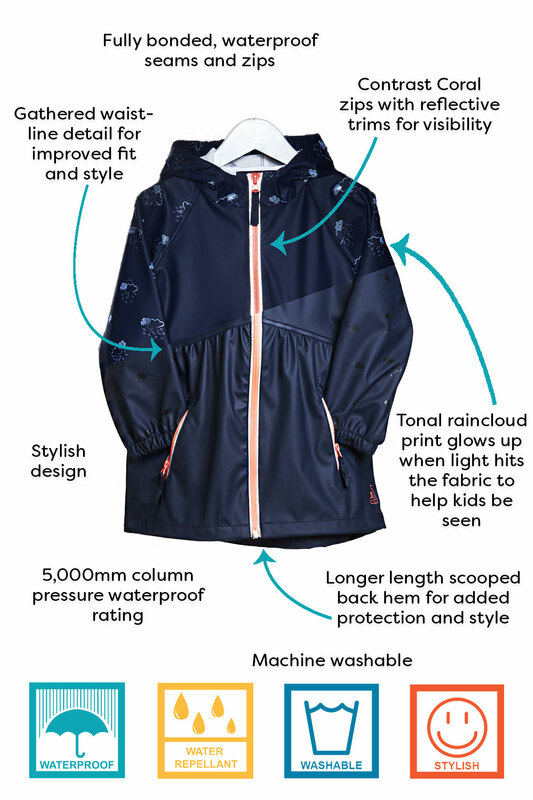 Our Raincloud Light Catcher reflective rain mac features a subtle tonal raincloud print on the sleeves and hood by day. 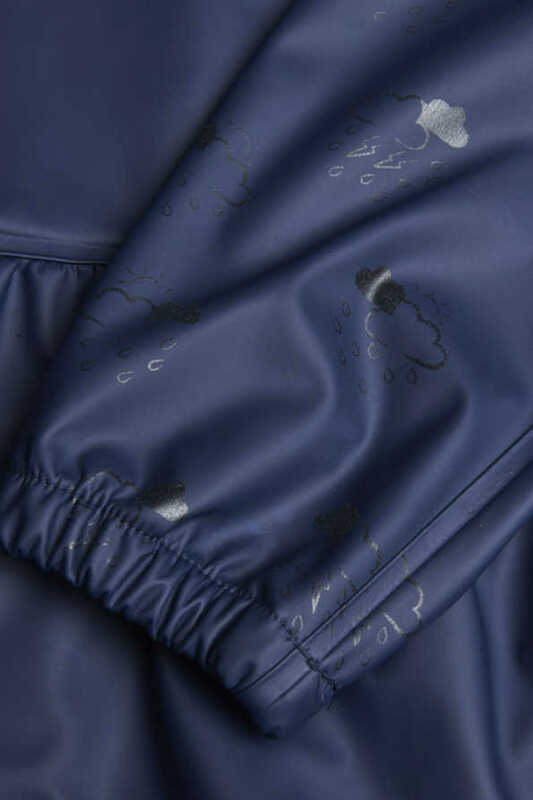 By night, marvel as the raincloud print lights up when a bright light shines on the fabric. Also available with a lightning bolt print, view our Lightning Bolt Light Catcher. 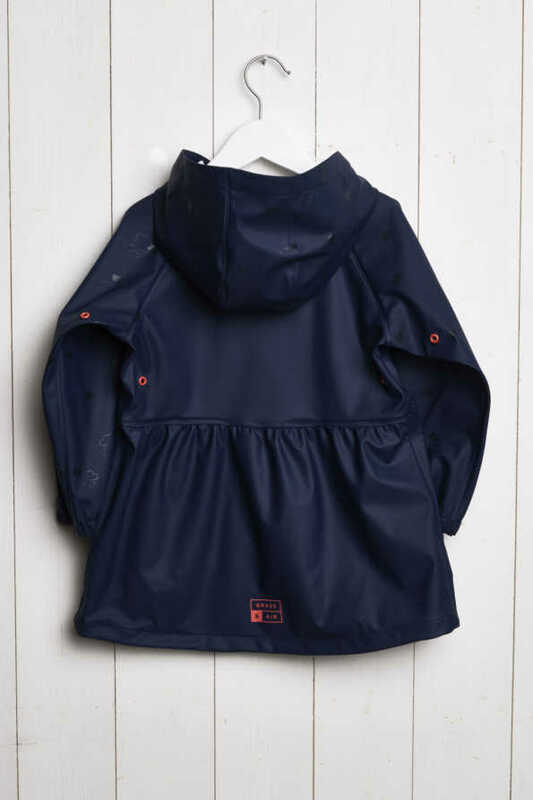 The same cool style as our boys and girls Rainsters but with a tech twist. 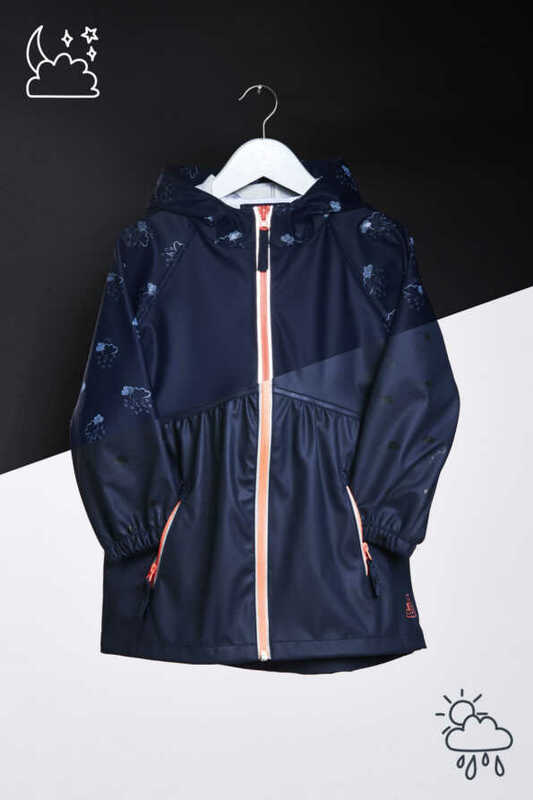 Our Raincloud Light Catcher reflective kids rain mac features a subtle tonal raincloud print on the sleeves and hood by day. 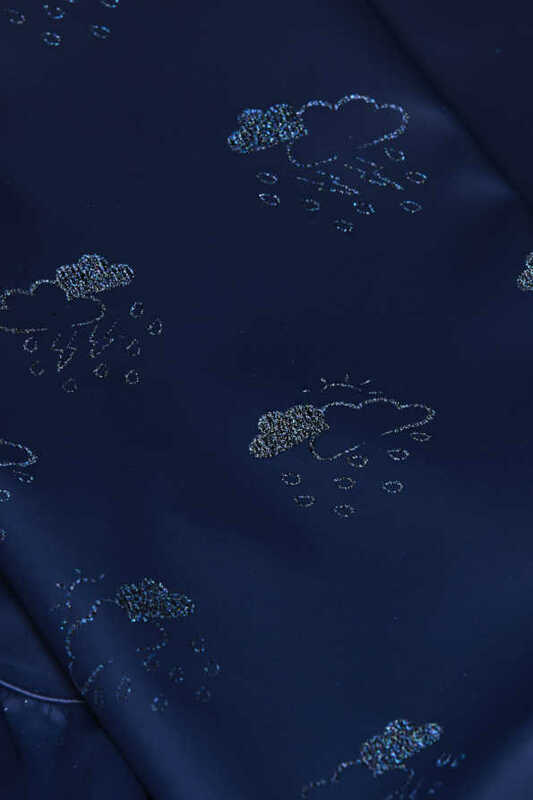 By night, marvel as the raincloud print lights up when a bright light shines on the fabric. 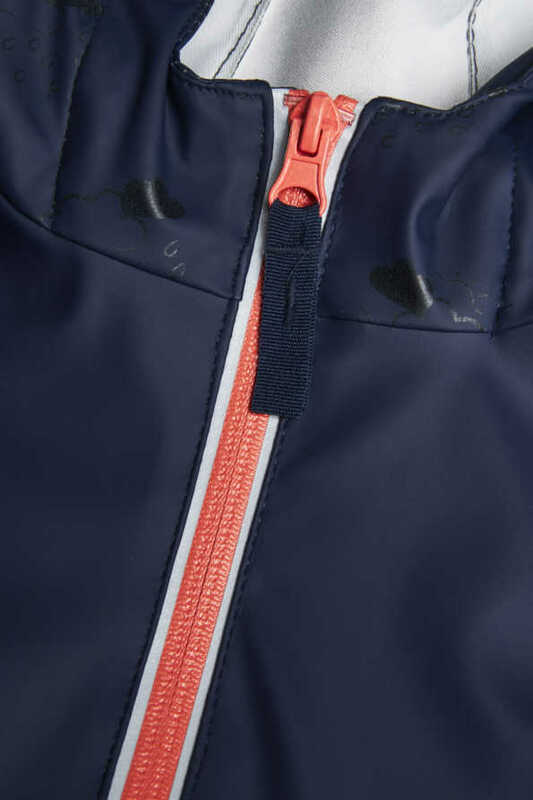 A fun feature that will make them want to get outside to play, even at dusk. 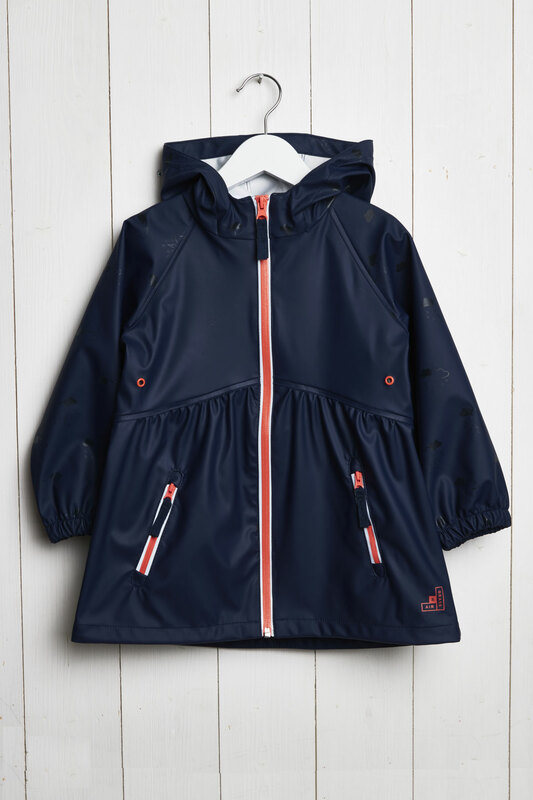 Made from the same 100% waterproof fabric as our Girls style Rainster and featuring the same gathered waistline detailing, the Light Catcher will protect from the elements whilst looking effortlessly stylish with an added touch of magic. 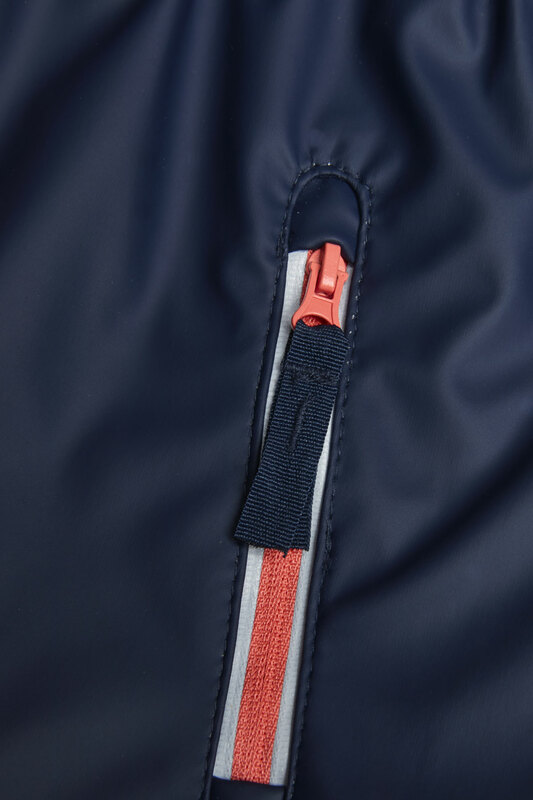 Our raincloud reflective rain jacket comes in Navy, with accents of Coral detailing on the zips. Also available with a Lightning Bolt pattern print, view our Lightning Bolt Light Catcher.